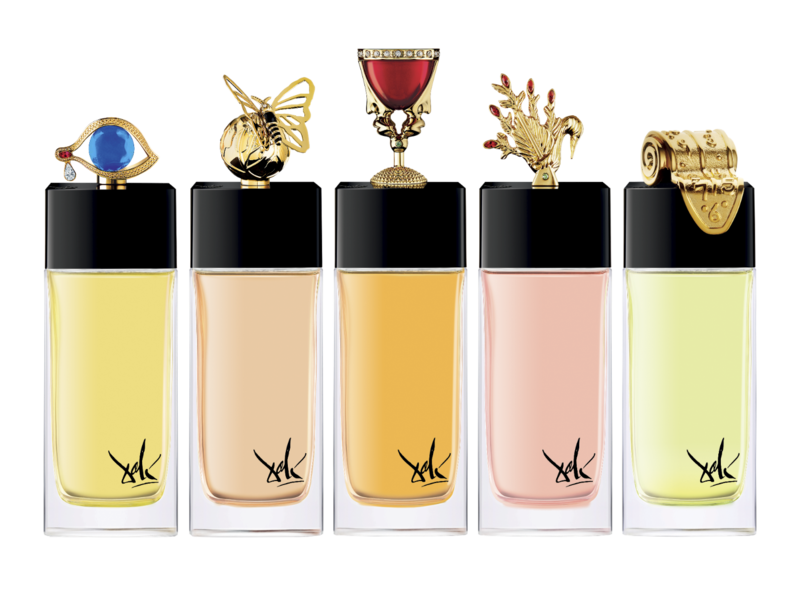 Uniting the art and fragrance worlds, this exclusive Collection of five ultra-luxurious fragrances is inspired by the jewelry creations of Salvador Dalí, which perfectly represent the genius of this extraordinary artist. Borrowing several emblems from the Master’s iconography, notably the eye, butterfly, chalice, hand and watch, the exceptional bottles, designed with the same eye for excellence, showcase the divine essences. These rare fragrances, Eaux de parfum, are crafted in the purest fine perfumery tradition and interpreted by the Master Perfumer Alberto Morillas. : Regard Scintillant de Mille Beautés, Voyage Onirique du Papillon de Vie, Calice de la Séduction Eternelle, Mélodie du Cygne de la Main, Fluidité du Temps Imaginaire.